A stone groover from the great Ray Bryant – one of his brilliant albums for Cadet from the 60s! 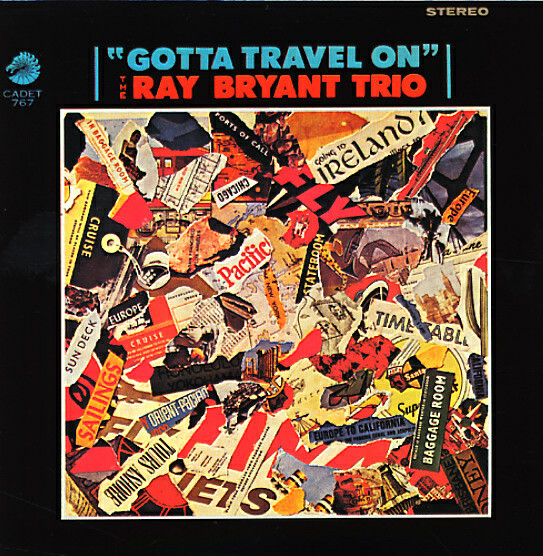 Ray's soul jazz trio (with Freddie Waits on drums) is augmented by the 2-horn trumpet section he used on some of his other Cadet recordings from the time – trumpet from Snookie Young and flugelhorn from Clark Terry, both of whom really help the album open up from the usual standard soul jazz trio side! The sound is really unique, and the "bottom" of the brass gives his piano a nice deep sound that you wouldn't necessarily expect from the arrangement – almost a bit of a bounce at the bottom, always helping the groove. The record includes a number of nice originals, like "Little Soul Sister", "All Things Are Possible", "Erewhon", and "Monkey Business" – plus versions of "Gotta Travel On" and "Bag's Groove". © 1996-2019, Dusty Groove, Inc.